Splashbacks are one of the most essential and exquisite features of kitchen spaces. 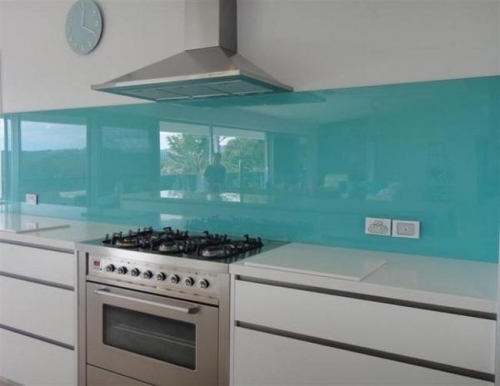 At Elite Glass Services, we have got a vast supply of toughened glass splashbacks for offering to buyers in Sunshine Coast. Ranging from painted glass variants to mirrored options, we can provide you with anything that you may require for breathing life into your kitchen. All of our splashbacks are designed and produced to be in compliance with the standards of Glass & Glazing Association of Australia. This means that they are not only safe to use, but also have resistance to heat, moisture and scratches. Besides that, they are fully customisable and can be produced in any colour that you prefer. For lighter colours, we recommend Low E glass. Have a look at our collection of glass splashbacks given below. Give a contemporary and stylish feel to your kitchen with our coloured glass splashback. All variants are manufactured as per Australian Standards and allow for heat and thermal shock, so that you can have peace of mind after purchasing from us. They even have a beautiful reflective nature which creates a feeling of light, space and depth. Besides that, you also get the freedom to choose a colour from countless options. By installing our coloured glass splashbacks, you can be sure that your kitchen space would look more inviting and bold. Elite Glass Services can help you give your home or office kitchen the finish that it deserves. Make your cuisine space elegant and stylish by having our Painted Glass Splashback installed in it. Our highly qualified and efficient staff is capable of producing a painted glass splashback of almost any colour. Prior to beginning our work, we will consult with you and take the necessary measurements of your kitchen space meticulously. Are you on a quest for finding the best and top-quality splashback for your kitchen? Allow us to assist you in imparting a graceful and professional touch to your cuisine space. Choose from our varied collection of glass splashbacks that are not only durable, but also have a remarkable reflective surface suitable for all types of kitchen settings. 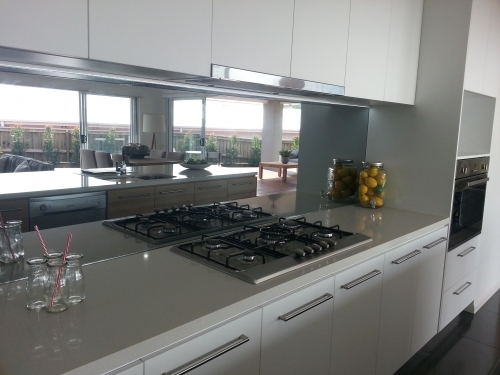 While having a design built with toughened glass of 6mm thickness in order to comply with the Australian Standards, our splashbacks are also very light and can be handled with ease. The applied toughening process makes them resistant moisture, heat, splashes and scratches. They are also very easy to clean and maintain. Mirror splashbacks impart an elegant and exquisite look to any kitchen and also provide a tough wearing splashback surface that is easy to maintain. Installing a mirror splashback would make your kitchen feel bigger and help to distribute more light within the space by reflecting the amount received from natural or artificial light sources. 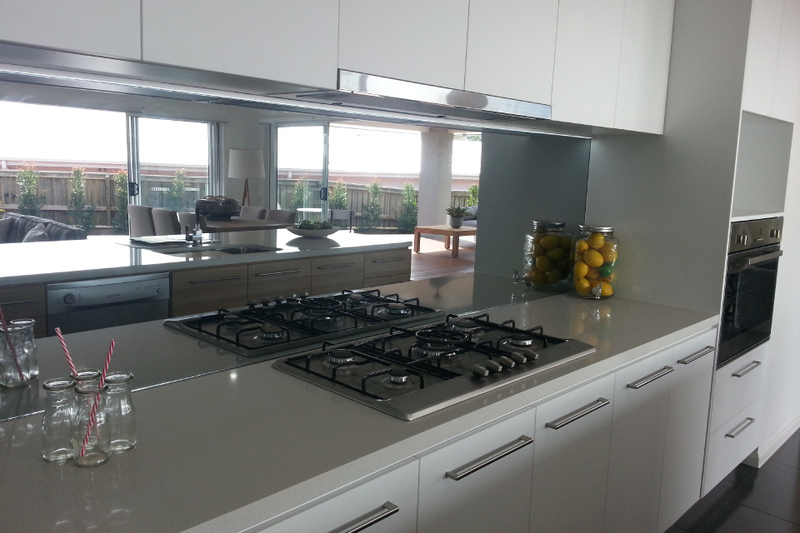 Our mirror splashbacks are designed in such a way that they can easily cope with daily exposure to humidity and heat. They are also toughened in compliance with the Australian Standards to ensure maximum durability and efficient performance.